How Do You Relate Your Business? With the face and operation of business changing quicker than ever, relating to customers becomes increasingly important. The nature of the business, and its specific needs to its consumer base determine the best ways to relate. The journalism business must focus on relevant stories. Retail must focus on giving shoppers an experience, as well as a product for a good deal. Lawyers must provide ease and comfort, particularly in stressful cases. And consumer packaged goods giants must focus on innovative products, keeping buyers interested. No matter the business, public relations is critical to staying afloat. So what are the keys to public relations? James E. Grunig, a public relations guru, has taken great part in developing models for public relations. Grunig's research provided important theories to the industry. Public relations practitioners are better suited to counsel the organizational and public interest through the useful models listed below. B.A.F.F.L.E.D. hopes they are helpful to you. Uses press releases and other one-way communication techniques to distribute organizational information. Public relations practitioner is often referred to as the "journalist in residence". Uses persuasion and manipulation to influence audience to behave as the organization desires. Does not use research to find out how its public feels about the organization. Seeks to change attitudes, not practices. Uses communication to negotiate with public, resolve conflict, and promote mutual understanding and respect between the organization and its public. What kinds of practices do you find helpful in relating to the public? Are they industry specific?? 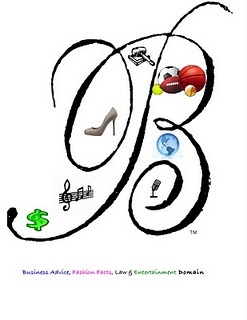 Join Bottomless Closet in this amazing evening of charity, fashion, and entertainment! Bottomless Closet is a tremendous organization, doing its part to get women back on their feet, and back into the workforce-in style. Please join B.A.F.F.L.E.D. in supporting their efforts. Special thanks to all who voted for Ciara Calbert of Blog of Ciara Calbert for her entry in the NewU Entreprenurial Journalism Competition. Here's an update from Ciara on her winning. Congrats Ciara! My birthday was this past Thursday, October 21. What a day! I am honored to have had an opportunity to spend it with family and friends. It all worked out because just the weekend before, my brother was in town and brought my nephew over. That’s the weekend that we won the New U Challenge. Isn’t that amazing? An early birthday present. Well wishes, thoughts and prayers, good intentions, and the efforts of loved ones carried me into the celebration of my 28th year. And, just so you know, I’m counting you all in that “loved ones” category. We led the NABJ category with 37.9% percent of the votes, for a total of 879 votes. Thank you for helping us accomplish this great feat! As a result, we’ve won $5000 to put towards our business ideas. (To read more about the full list of winners, click here). Now, we’re in the stage of the program where we are determining the best ways to invest this money into our businesses to help them grow. I’m working with Abadeu Madyun of the creative agency, Studio 3WD, to develop our online presence. I’m also planning to invest in some technological equipment and financial services. This is another great learning experience as the owner of a startup. I welcome your ideas and suggestions as we embark on this next stage of the journey. Tonight's the night! 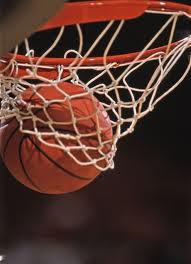 For the last 4 months, basketball fans have been awaiting the 2010-2011 season. We saw a number of marquee shake-ups during the summer, and tonight is just the start of the excitement bound to happen this year. 1. Boston Celtics - Don't let the older players fool you! 2. Chicago Bulls - Look alive for Derrick Rose! 4. Miami Heat - You saw what happened this summer. 5. Orlando Magic - New tricks up their sleeves. Hi everyone! My name is Shari and I am a lifelong Chicagoan, though the entire rest of my family is from Belize. I'm a web/Flash developer by day at an advertising agency and a freelance graphic designer when time permits. You may have seen some of my work out there. 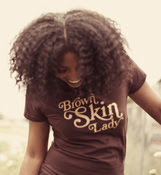 I designed the site for Black Girl With Long Hair and the logo for Afrobella. Currently, almost all of my time goes into my online shop, Bon Bon Vie (after the T.S. Monk song of the same name). I've always had an unhealthy obsession with tee shirts, so I figured, why not design some myself? I currently have a few designs on the site, but will be rolling out more slowly but surely. I currently work at Abelson Taylor, a pharmaceutical advertising by day as an interactive developer doing mostly Flash development, and in my spare time, I do a lot of freelance work (art direction, graphic & web design, t-shirt design, wordpress development). My online portfolio is located at http://www.cargocollective.com/sharineal. I just started an online t-shirt shop called Bon Bon Vie, so that is my baby at the moment. 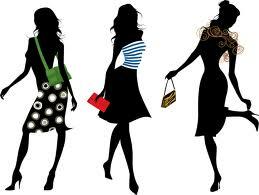 Look alive for Shari's talented creations and the Bon Bon Vie brand! In recent weeks, more than 3 teenagers have ended their lives after being bullied in cyberspace. 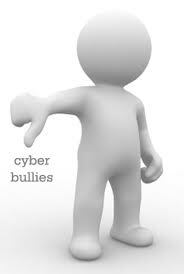 Cyber-bullying is a new crime, joining many others, as our society technologically advances. It is defined as harassment using electronic media. In fact, "cyberbullying" is just a new way to act on an age-old tactic. With the rise in instant communication, come new ways to connect, and unfortunately new ways to disconnect. The beneficial uses of social networking have found negative attributes in the way users are able to take advantage of an open forum to the detriment of others. 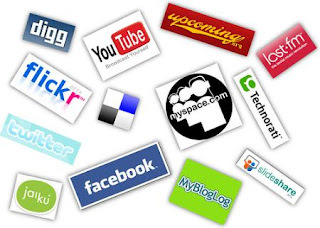 Many compare social networks to "parties" where you can host or join. Those using their personal pages as platforms to harass others are not making it fun for everyone. Because of the recent tragedies resulting from technology abuse, many states legislators have pushed to regulate cyberspace. Most recently, a New Jersey Senator proposed a bill which would use federal powers to require all colleges to have a code of conduct, making it clear bullying and harassment would not be tolerated. The bill also requires having a policy for dealing with complaints. Outlawing cyberbullying has been on the legislative calendar in many other states, including Illinois and Texas. What are your thoughts on cyberbullying? How should it be regulated? Send spooky Halloween wishes to all your friends with these hauntingly delightful cookies! Use our delicious Halloween cookies as treats, favors, gifts or centerpieces. can be upgraded to one of our Halloween themed keepsake baskets, tins or mugs. colored curly ribbons and an enclosure card. We also sell individual cookies. Any cookies can be customized with a name for a more personal touch! 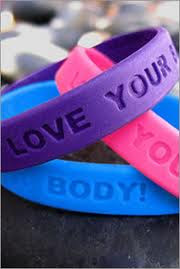 Love Your Body Day is TODAY!! These days, we are all addicted to one reality show or another. It's a guilty pleasure, and sometimes makes us feel pretty good about our own lives. As unruly as some shows can be, there's no argument they provide entertainment. This week, we're listing our Top 5 Reality TV Shows. Let us know what you think! Which shows are in your Top 5-Can't Miss-Must See? *Data provided by Neilsen's Weekly TV Ratings. For more info, click here. This post is dedicated to the subscribers of B.A.F.F.L.E.D. 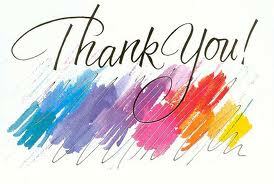 We more than appreciate your commitment to the B.A.F.F.L.E.D. Blog, your insight, and suggestions. Thank you so much for welcoming us into your inbox so frequently. We hope we can continue to be a bright spot amongst your emails. Not a Subscriber? Enter your email address in the box at the top right-hand corner and get B.A.F.F.L.E.D. regularly! If my business were an object, it would be a mirror because ultimately, it’s about creating work that reflects the inner journalist inherent within each person… or at least within the cool people I know. See, I encounter people who have some awesome talents. They do amazing work. But, what I find is that people often need a little help telling their stories. As someone with experience as a journalist, I know how valuable those stories are. I attended the NABJ Conference in San Diego as a participant in a media entrepreneurship program called New U. During the event reception, my mentor challenged me to go up to people and give them my elevator pitch. She’d introduce me, do a lead-in, then hand it over to me to talk up my project. One woman was sort of un-impressed with the idea. I was telling her that I wanted to help connect the folks who have the stories with the media outlets that can best distribute them, and she said–gesturing to the people around her, “What makes you think that the people who have the stories have ANY problem telling them?” She sort of rolled her eyes when she said the “any”. That’s when I realized that it’s about perspective. Journalists may not always see just how valuable their skillsets are when they consort with so many others in the field who share them. On the same note, the web 2.0 era has made it easier for everyone to have outlets to tell their stories, sort of democratizing the sharing of ideas, as Justin Halpern says. And, then let’s not forget about the folks I mentioned earlier who have the most amazing stories, but either don’t know it or don’t know how to share those stories. That’s where I come in: to connect the dots. Advancing the field of journalism, utilizing the ease of providing and distributing content that social media provides, and helping people tell their stories. Talking to her gave me an idea of what to name the business…at least for now: Everybody Is A Journalist™. 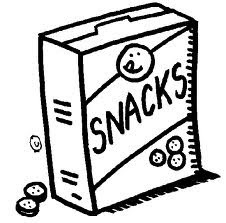 Often times, we fear snacking and see it as a no-no in eating healthy. Well, Everyday Health has given us some safe snacking options to help us feel better about eating between meals. Medical professionals have noted eating small meals throughout the day is helpful in keeping stomach size small and avoiding over eating. These days, anyone not using some sort of social media definitely in the minority. With everything from smart devices to social networking sites, it is sometimes way too easy to stay connected. So this week's Top 5 are the top social media platforms in our world today. **This vigil honor more than 50 women victims, their minor children and other female children who were murdered in Will County over the last 10 years. The vigil will also honor those women who have survived. As always, information from local agencies and TBTN items will be available for purchase. 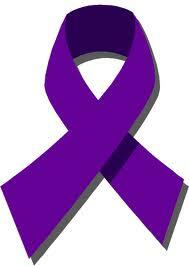 For more information on Domestic Violence Awareness, click here! Check out this special event and promote music in the lives of our youth! A unique ensemble for young Latino and African American string players, SCO works to advance diversity in classical music while engaging young and new audiences. Tillis: Spiritual Fantasy "Wade in Water"
to offer all seats to this performance for only $10. Click here to see Sphinx performing with the Harlem Quartet! The Delta Institute, a non profit organization that is committed to growing the green economy in the Great Lakes region and creating sustainability projects that aim to improve our environment, while developing the communities in the region. In order to reach out to young professionals, Delta identified a diverse group of young professionals to reach out to their peers, spread the message of the green economy and how people in their 20s and 30s can have an impact on how we shape our environmental policies and practices. Next month (October 13), the Delta Emerging Leaders Board is hosting the Green Soapbox, an after-work cocktail reception and networking event featuring the Green Soapbox; a chance for young adults in the sustainability field to let you know who they are, and what they are doing. The event will be held at the Peggy Notebaert Nature Museum, located at 2430 North Cannon Drive, Chicago, Il. It will be a fun event, and you don’t even need to be a green professional to come out to it! If you have even a passing interest in the green economy, environmental issues, fun, trivia, drinks, and/or networking, save the date and join the Delta Emerging Leaders! Tickets are $15 presale at http://www.delta-institute.org/emergingleaders/, and $20 at the door. The event is from 6:30-9 pm on Wednesday, October 13, 2010 at the Peggy Notebaert Nature Museum, 2430 N. Cannon Drive, Chicago, IL 60614. Check out the emerging leaders online! 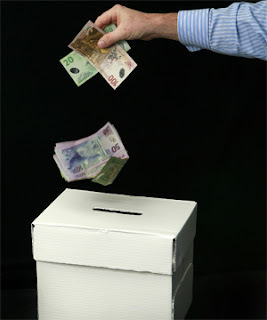 Are Special Interests Buying Our Government? Once upon a time, elections and public offices were positions of integrity and trust. Not to say all of them aren't today, but now, money is one of the strongest forces in politics, which makes things so "political". This election season, we are seeing a rise in special interest groups raise millions to sway voters in one way or another. Rather than allowing the people to decide based on a totality of circumstances, or the job a public official has done over time, these groups are pushing single issues in the media. These pushes give voters a skewed view of their public servants. A few states are holding judicial retention races this election season. Retention is when a judge is put on the ballot as a "yes or no" selection, and must gain a certain percentage of yeses to remain on the bench. States like Illinois, Iowa, and Kansas use this method. In most instances, these judicial elections are a non-event, and judges are quietly retained. And in many cases, they should be. They are to be nonpartisan, fair, and uphold the constitution. Retention is a means for ousting corrupt justices, not those upsetting a group here and there while honoring the constitution. Are you swayed by one issue? Do you look at the entire record of a public official to make your choice at the polls? Share your perspective with us! Is that Burberry on Your Phone? Possibly not! Exclusive fashion brand, Burberry recently sued cell phone case-maker, Body Glove. The suit claims Body Glove is infringing on the popular, and legally protected, Burberry plaid in recent designs for iPhone cases. Burberry is not only asking for the infringing designs to no longer be produced, but for recovery of their legal fees as well. And Body Glove isn't alone, here. Burberry is also filing suit against TJX (TJ Maxx and Marshall's) for selling infringing designs. Be careful what you buy at the mall kiosk. Something tells us it's not the real deal. To shake things up a bit, B.A.F.F.L.E.D. will be posting a "Top 5" of something each week. The 5 will be from various topics we cover, and anything our readers want to discuss. 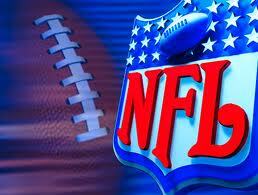 Because the football season is fresh and underway, we'll be starting with the Top 5 NFL Teams. Here goes! 1. Chicago Bears - Kinda biased, but check the record! 2. Kansas City Chiefs - Record! 3. Pittsburgh Steelers - They're always near the top of some list. 4. New Orleans Saints - They're the champs at least until February. What do you think? Who will go all the way? Got a different order?? Domestic violence is best understood as a pattern of abusive behaviors -- including physical, sexual, and psychological attacks as well as economic coercion -- used by one intimate partner against another (adult or adolescent) to gain, maintain, or regain power and control in the relationship. Domestic Violence Awareness Month started in October of 1981, with a Day of Unity, to connect advocates and raise awareness about the chilling impact of domestic violence in America. In 1987, the first national domestic violence toll-free hotline was launched, along with the start of continued legislation commemorating the awareness of domestic violence across the country. The Domestic Violence Awareness Project began in 1995 with the National Resource Center on Domestic Violence joining with other like-minded organizations to address the cause. The group partnered to launch support programs, heighten awareness about domestic violence, and work to diminish its trend in our society. The Domestic Violence Awareness Project (DVAP) supports the rights of all individuals, especially women and girls, to live in peace and dignity. Violence and all other forms of oppression against all communities and families must be eliminated. The purpose of the DVAP is to support and promote the national, tribal, territorial, state and local advocacy networks in their ongoing public education efforts through public awareness campaigns, strategies, materials, resources, capacity-building and technical assistance. 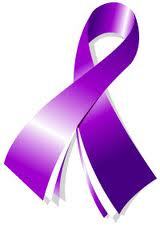 Check out these sites to get more information about domestic violence, and please make use of the hotlines. We must all do our part in bringing this trend to an end. As we start the month of October, we must be forever mindful of breast cancer awareness. From Susan G. Komen, to the National Breast Cancer Foundation, organizations across the country are working to keep breast cancer research, along with research for all forms of cancer, at the top of mind. 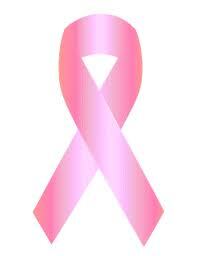 Breast cancer is a disease in which malignant (cancer) cells form in the tissues of the breast. It has impacted millions of women, but has received much needed attention to fight its surge. Regular doctor visits and mammograms for women over the age of 40 are critical in breast health. The Breast Cancer Site offers the ability to "click to give free mammograms", and promotes early detection. Knowing your body and the best ways to maintain optimal health are just part of the fight. You can also check out The Pink Ribbon Shop for all your breast cancer awareness memorabilia. Let us know about breast cancer awareness causes in your area! For more details, see the B.A.F.F.L.E.D. Flashbacks page and our 2009 post on BCA. Jersey Shore's Got a "Situation"
With their fame escalating past the 15 minutes many thought they'd get, stars of MTV's The Jersey Shore are so big they need trademark protection. But it's not coming easy. Most of the stars of the show have catchy nicknames, like "The Situation", "J Woww", and "Snooki". As their fame continues to grow, they're getting endorsements, contract extensions, major appearance deals, and even shaking it up on Dancing with the Stars! 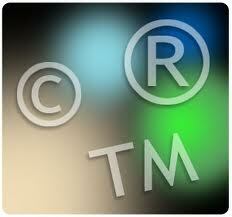 Like any other emerging brand, trademark protection becomes an obvious necessity. 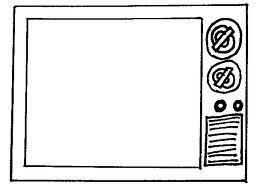 The need for a trademark arises when a brand identifier (logo, service mark, etc.) is being used in the market for profit. The key to securing a trademark without issues of infringement, is making sure it will not cause confusion in its respective market with any other similar mark in the same or related industries. This hasn't been a breeze for the folks of Jersey Shore. Snooki can't trademark her name in publishing because of a 2003 children's book. She'll have a better chance if she targets a different market. Mike "The Situation" is getting better results with trademarking "Situation Nation", but "The Situation" mark for underwear and t-shirt branding is not coming as easy. But, this guy does have an iPhone app called GTL, where users can locate the nearest gyms, tanning salons and laundromats. It's amazing what has become a sign of the times these days.